0.1 Cellar insulation from inside – what possibilities exist? Cellar insulation from inside – what possibilities exist? As one of the Munich Research Institute for Thermal Protection, Published recently, thermal insulation is still one of the essential components of effective energy saving. Reasonably insulated buildings contribute decisively to a reduction in heating costs and are, not least, an indispensable component of the so-called energy demand. In addition to the usual insulation measures on facades and roofs, the effective insulation of cellar rooms is also very important. A practical as well as cost-effective solution is the basement insulation from the inside. In general, an interior insulation is suitable for all rooms, which do not have to be permanently used and constantly heated. The basement insulation from the inside is a very convenient and at the same time cost-effective way to significant energy improvements; affected cellar areas can be heated quickly since the massive exterior walls do not have to be heated. In addition to the saving of heating costs , a good cellar insulation also ensures that no mold can form in the masonry and in sensitive areas . Insofar, a basement insulation from the inside is always also a measure of the health protection and contributes to the value retention of the respective property. In the case of a basement insulation from the inside, it is not just about the insulation of the exterior walls. On the contrary, an effective insulation protection downwards and upwards must always be considered. Above all, if the basement area is not to be heated, a good insulation to the overlying living area is of great importance. If you do without a reasonable ceiling insulation, the heating costs of the house can hardly reduce sustainably. Insofar as floor insulation has not taken place during the construction of the affected building, insulation should also be made here by means of appropriate insulation materials such as, for example, polyurethane rigid foam. Thus a weather-resistant and water-repellent base area of the cellar is created. It is important, however, to ensure that there is currently no moisture in the floor slabs . Insulation measures may only be initiated with complete dryness. In the case of vapor-tight insulation, polyurethane elements, calcium silicate or gypsum board panels are used. Corresponding insulation panels made of mineral or stone wool or polystyrene are used for basement ceilings. The advantage of a vapor-tight insulation lies in its relatively inexpensive implementation. However, especially in the case of old buildings, there is a considerable risk of renewed moisture formation. 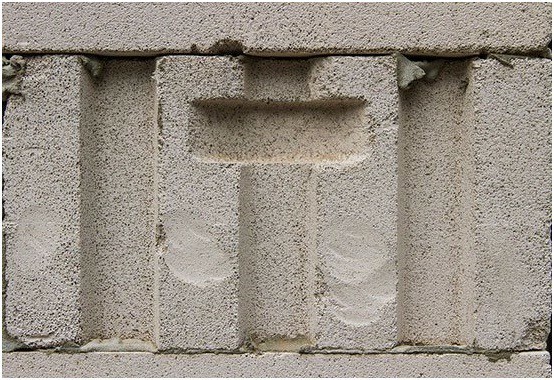 Capillary-active insulation systems ensure that the moisture generated in the masonry is absorbed and released into the room air of the basement. In this way, the room climate can be optimized as well as counteract the development of mold and other moisture damage. Unfortunately, the capillary-active insulation is also the most expensive solution for a cellar insulation from the inside. A very efficient and speedy way to effectively insulate the basement from the inside is the insulation by means of cellulosic insulation . By means of so-called blow-in insulation, the cavity thus created is filled with cellulose after the application of a wooden frame below the basement. This form of insulation does not require any conversion and can increase the energy efficiency of the basement ceiling by up to 75 percent. The costs for a cellar insulation from the inside are dependent on the chosen insulation variant, the construction company and the regional prices. In principle, it can be said that the average expenditure is between 80 and 100 EUR per square meter of insulation area. In the case of cellulosic insulation, the costs are significantly lower at 10 to 20 EUR per square meter. In any case, builders are well advised to check the offers and prices carefully and then decide on the most effective solution in the long term.